Explore West Greenland between and Baffin Island on this well balanced trip. Spectacular wilderness scenery, great wildlife sightings, big ice and community visits make this a quintessential Arctic trip. We depart Ottawa this morning on our charter flight to Kangerlussuaq, situated on the west coast of Greenland. Upon arrival in Kangerlussuaq we enjoy a short tour before boarding the ship in the afternoon. 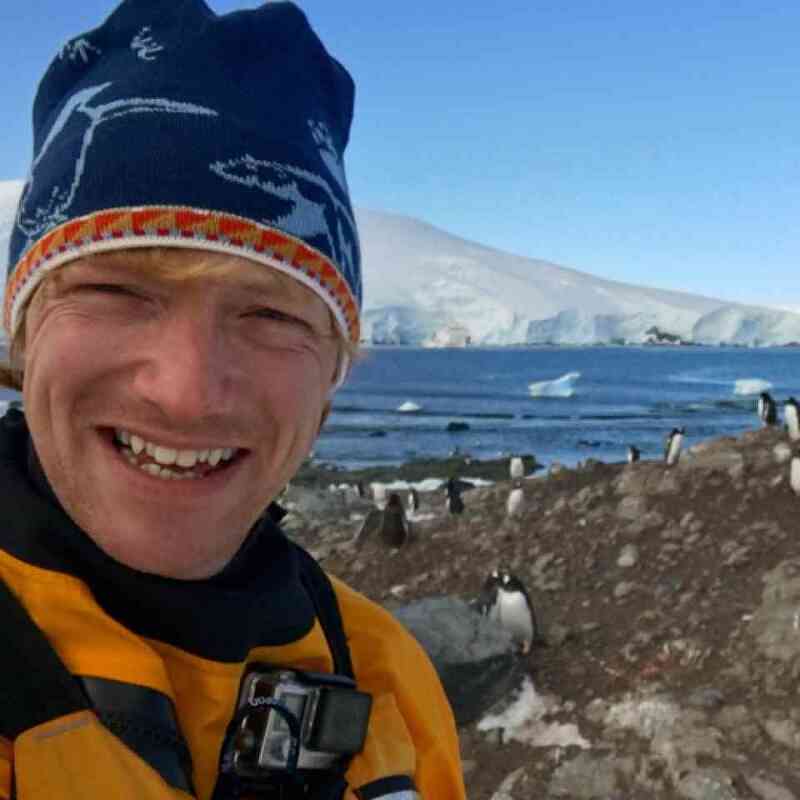 After settling into our cabins and exploring the vessel, we meet our expedition team and fellow passengers. We will explore the fjord behind the colourful town of Sisimiut before going ashore to visit this beautiful location in the afternoon. We hope to meet a few of the traditional Greenlandic kayakers and perhaps see a demonstration of 'Eskimo Rolling' by one of the former champions of the Greenland Kayaking Championships. If one word could sum up today's experience, it would be 'ice'. Truly one of the wonders of the world, the Jacobshavn Icefjord - a UNESCO World Heritage Site - spews giant tabular icebergs out into Disko Bay. Our approach to Ilulissat is always dependent on the amount of ice in and around the mouth of the fjord. Our Captain and officers are skilled ice navigators and our ship has one of the highest ice ratings of any expedition cruise ship exploring Arctic waters. A very large island in the mouth of Disko Bay, Qeqertarsuaq is a site of both geologic and historic interest. A possible summer fishing camp for the Viking colonists in Greenland, mineral deposits containing native iron and hot springs are all part of the allure of this island. We will visit the southern coast, cruising the spectacular rock arches before visiting the town of Qeqertarsuaq. 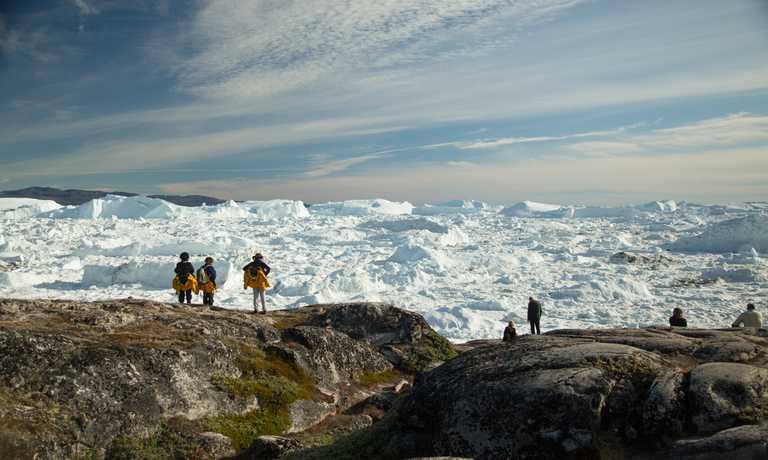 We leave the rugged coastline of Greenland to cross the Davis Strait towards Canada. As we transit Davis Strait we are always on the lookout for fin and humpback whales, as well as the numerous species of Arctic seals and seabirds that inhabit these waters. Our on board experts will deliver fascinating presentations focusing on the wildlife, history, geology and culture of the Arctic. Sunshine Fjord straddles the Arctic Circle at 66 degrees, 33 minutes North of latitude. Depending on the weather, we might cruise across the Arctic Circle on the ship, cross it in the zodiac boats or the more active option maybe to cross the circle on foot. Whichever way, it's a thrill to be above the Arctic Circle at last! Sunshine Fjord offers terrific hiking opportunities and we have a number of great routes in mind. Protecting the northern entrance to Cumberland Sound, Cape Mercy is an exposed headland jutting out into the Davis Strait. 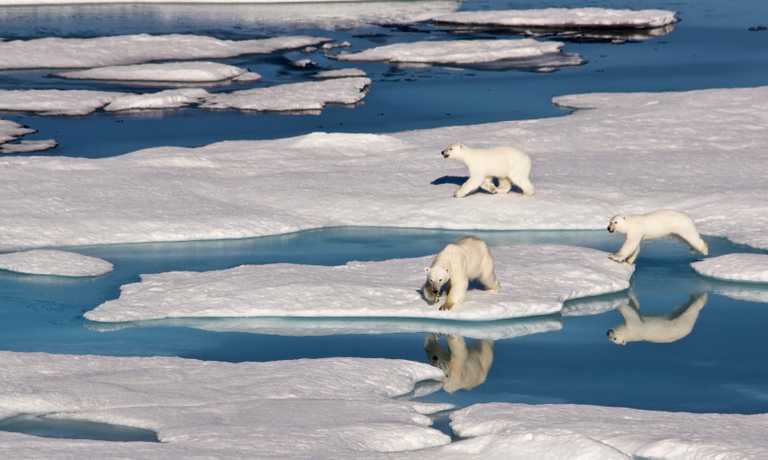 As the Baffin Bay middle ice recedes throughout the summer, the stretch of Baffin coast from Cape Mercy to Cape Dyer is a great place to look for polar bears coming ashore. We will have all eyes searching as we sail this region. Nestled in the heart of Cumberland Sound and the western gateway to Auyuittuq National Park, the village of Pangnirtung is beautifully situated between the mountains and the sea. 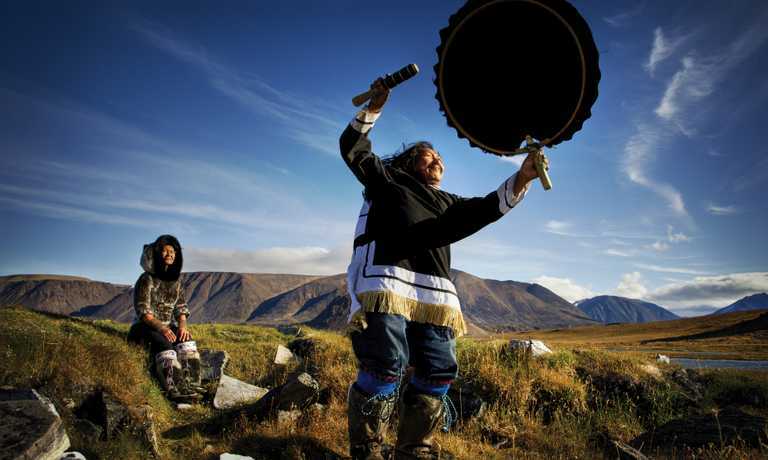 This remote Inuit community is a well-known centre for traditional and contemporary arts and crafts including carvings, prints and textiles. In addition the Angmarlik Visitor Centre has a wonderful interpretive display featuring the lifestyle of the Thule and of the modern Inuit. Situated in the Davis Strait, the rocky dome of Monumental Island can be seen from a distance. We explore by zodiac along the rocky shoreline and hope to encounter polar bears in this vicinity. In good weather a complete circumnavigation of the island is possible. At the mouth of Frobisher Bay on the southeast tip of Baffin Island, the Lower Savage Islands are a geological wonder. A maze of channels criss-cross the islands and provide superb zodiac cruising opportunities. It's possible to navigate from one side of the island to the other where the ship will collect us. 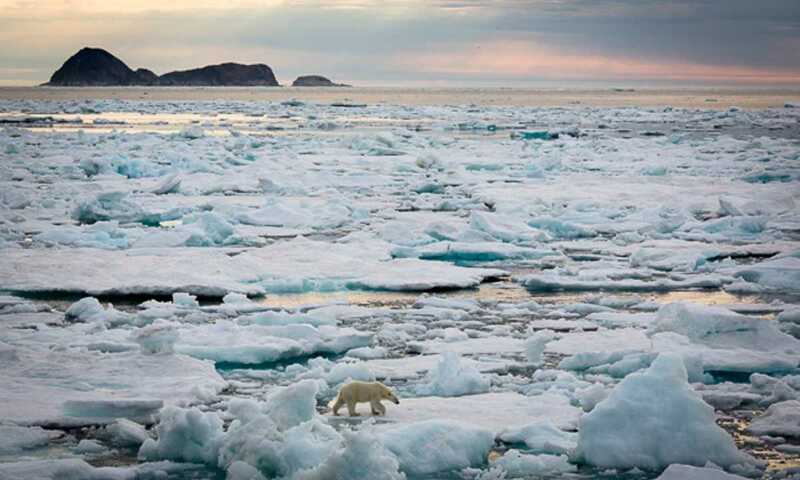 The islands are ideally situated between the dynamic flow of the Hudson Strait and this mixing of nutrient-rich waters makes for a diversity of Arctic wildlife, including polar bear. Our expedition comes to an end as we arrive in Iqaluit, the capital of Nunavut. We disembark the ship and bid farewell to our crew and fellow passengers. We transfer to the airport for our flight to Ottawa. A transfer is also provided from the airport into a central downtown location. Watching this ship from the bridge cut through rough seas really demonstrated her superior strength. Prices quoted below are per person based on 2 people sharing. The charter flights Ottawa/Kangerlussuaq at the beginning and Iqaluit/ Ottawa end of the voyage cost an additional $1,995 per person on top of the voyage price.